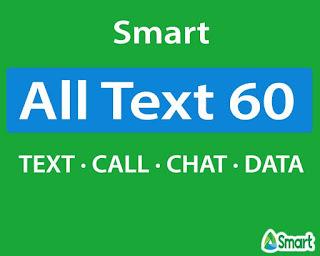 You can now text all you want without worrying interconnection charges with Smart Prepaid All Text 60 or AT60 promo. For only 60 pesos regular load on your account, you will get a non-stop SMS text to all networks up to 5 days. It’s very cheap and affordable as it only costs you 12.00 pesos per day for your communication allowance. Not just unlimited all-net texts, you also have free Facebook access, Messenger and Viber without spending extra budget. You can also have a free 60 minutes of call that you can use to contact your love ones and friends who are using Smart, Talk N Text and Sun Cellular network. Using your Smart prepaid SIM card, you need to reload 60 pesos on your account so you can register to this promo on your own via SMS. 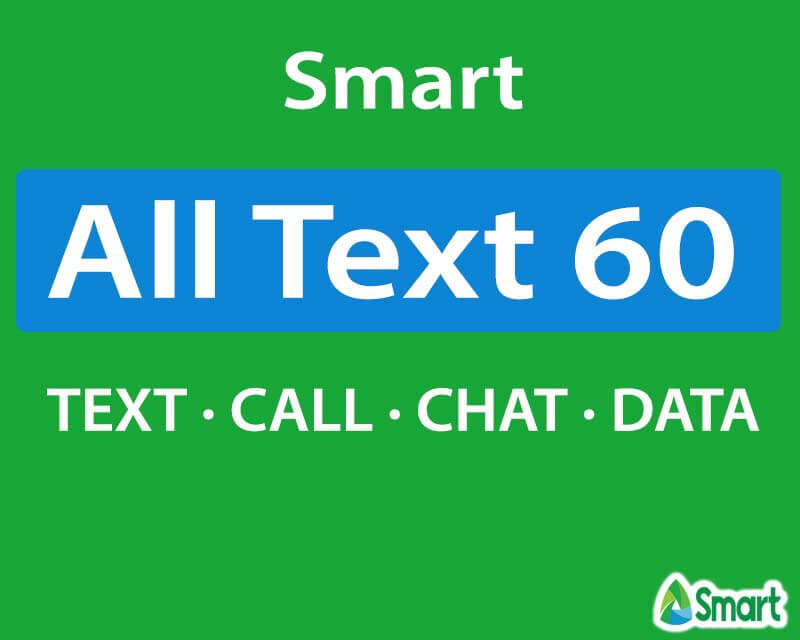 If you want a less hassle way of subscribing to AT60, you can simply ask your load retailer to find Smart All Text 60 on the SIM menu then provide your mobile number correctly. If you prefer via a keyword method, you find below format as your reference. This is hassle free promo than subscribing to Smart All Text 10 with only 1-day validity for only 10 pesos. You can try dialing the (Smart, TNT and Sun) number of the person you are trying to call. To access internet using FB and Viber, just turn on your mobile data, then wait for the status icon at the top of your phone menu. Make sure you have good signal reception to avoid connection problems.